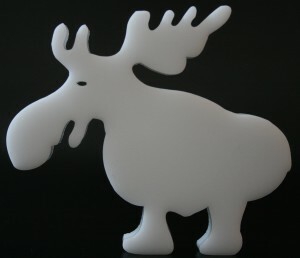 Keytouch offers laser cutting and punching services of various plastic materials. Based on customer provided files we can process different plastic materials and manufacture high quality products. The majority of processed materials are various plastics e.g. acrylic, polyester, silicone and polycarbonate. 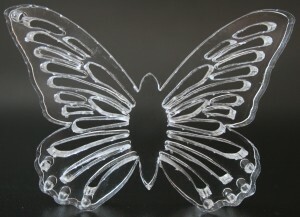 Modern laser technology enables very accurate cutting and small, complicated shapes and details are cut with ease. and edges with high quality surface finish. 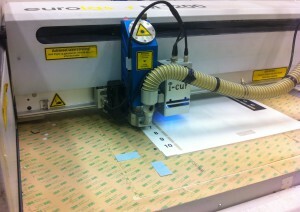 Laser cutting is also more effective on light and sensitive materials. and engraved according to customer specified patterns. Typical laser cut products are various sales promotion materials and design elements, but also industrial semi-finished products like gaskets etc. We also provide gluing, sealing and dispensing of various materials.